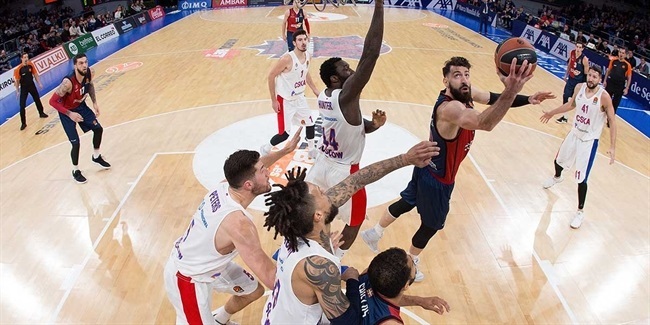 Others came close, but never before has a Turkish Airlines EuroLeague team won six games in a single month until Baskonia Vitoria Gasteiz did so in March to vault its way up the standings. 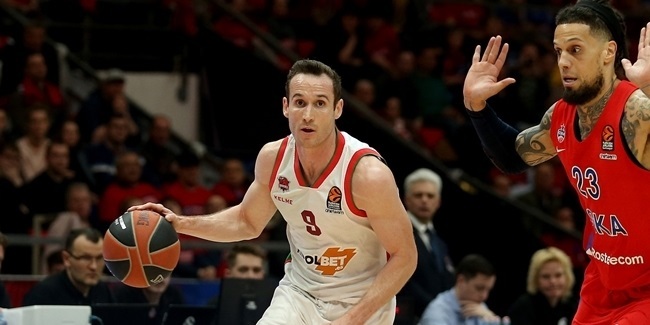 Even though he missed one of those victories with an injury, there is no doubt that one leader in Baskonia's effort was big man Tornike Shengelia, who is Euroleague Basketball's choice as MVP for March. Shengelia got the ball rolling for Baskonia with a tone-setting double-double in the first victory of the streak and went on to compile a team-high performance index rating average of 17 for the month. Baskonia not only beat two eventual playoff teams and took away that distinction from a third one, but each of the six victories came by double digits for an average margin of 14.6 points! Despite being hobbled physically in the middle of that run, Shengelia played his role to perfection, exuding confidence and making plays whenever he took the court. 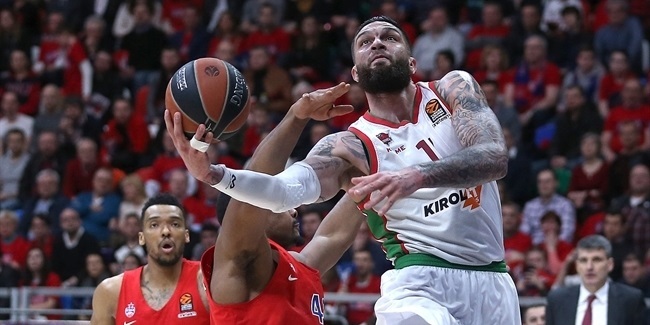 He, too, climbed up the rankings to end the month as the EuroLeague's second-best rebounder and fourth-best performer overall after 29 rounds of play. Most important, his leadership at both ends of the floor helped lift Baskonia to its third consecutive appearance in the playoffs, something that was far from certain at when the month started. The MVP of the Month honor is now in its 14th season. Although statistics and performance index ratings are taken into consideration for the award, they alone do not determine who is honored. The winner is named by Euroleague Basketball based on his and his team's performance. The award for March spanned the six regular season games that all teams played between Rounds 24 and 29. When March began, Baskonia was tied for ninth place with a 10-13 record, two wins away from the last playoffs spot with seven regular season games remaining. The tide started turning on March 1, when Khimki Moscow Region lost its three-game winning streak in Vitoria by 87-77 behind a 15-point, 15-rebound effort from Shengelia that made him the Round 24 MVP. Those 15 boards were his personal high and matched the league's second-best total this season. A week later, he contributed 7 points, 4 rebounds and 2 assists in a 71-81 comeback win at Valencia Basket. Shengelia sat out an 84-64 home win against Zalgiris, but returned to score 11 points in 12 minutes and not miss a shot in a blowout 103-79 decision over Brose Bamberg in Round 27. On the road against FC Barcelona Lassa just 48 hours later, Shengelia had 12 points, 4 rebounds and 3 assists in a 73-86 win. That victory completed Baskonia's jump to eighth place, now two victories ahead of Maccabi FOX Tel Aviv, which visited Vitoria to close the month. To clinch the last open playoff spot, Shengelia contributed 9 points, 7 rebounds and 3 assists as Baskonia won 83-72 – its sixth consecutive double-digit victory – and celebrated its ticket to the next phase. Shengelia finished the month of March with solid numbers across the board: 10.8 points, 6.6 rebounds and 2.8 assists while making 60.0% of his two-pointers and 66.6% from three-point range. In his fourth season with the club, Shengelia has been a fan favorite in Vitoria all along. But now that he has helped give Baskonia fans the team's longest EuroLeague winning streak in more than five years – six games and counting – they are sure to be on their feet in great numbers when Shengelia receives the MVP for March award at an upcoming home game.